Although semolina (smida in Moroccan Arabic) is famously used to make pasta or couscous, it also makes a very flavorful, chewy bread. For that purpose, either fine semolina or the more finely ground durum flour may be used. 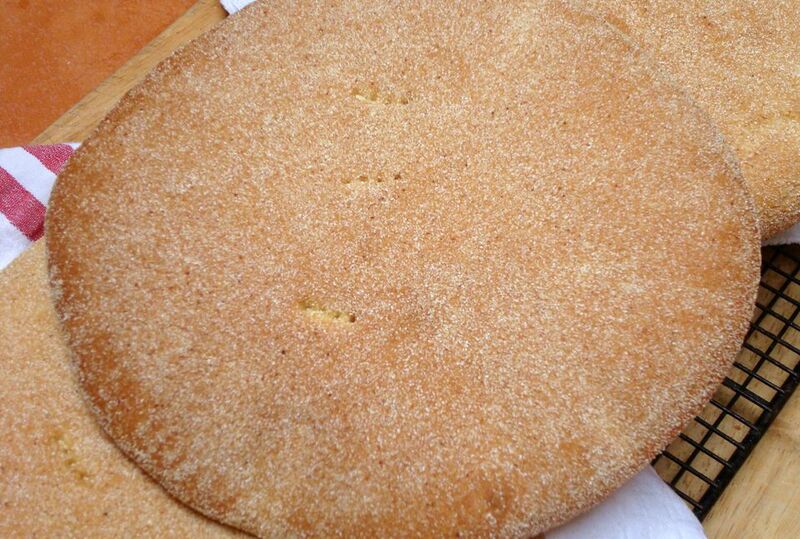 In Morocco, semolina bread usually takes the shape of khobz, a traditional disc-shaped flatbread, but you'll also find it in baguette or sandwich roll form. 1 1/2 to 2 cups warm water, approx. Divide the dough in half and shape each portion into a smooth circular mound. Roll the mounds in some coarse or fine semolina, pressing the grains gently into the surface of the dough. Preheat an oven to 435 F (225 C). Moroccan bread will keep only a day at room temperature, so plan to freeze leftovers. Thaw at room temperature, then reheat in the oven for just-baked freshness. Like its cousin Moroccan White Bread, Moroccan Semolina bread – or khobz dyal smida – is easy to prepare and perfect for sandwiches, breakfast, tea time or serving with tagines. We like to use half semolina to half white flour, but adjust this ratio to your preference. The more semolina you use, the more yellow in color and chewy in texture the bread will be. Delicious! The Moroccan semolina recipe calls for shaping the dough into two large loaves, which are typically cut into wedges for serving. If you prefer, you can divide and shape the dough into four to six small personal sized loaves.